Last week, I met up with five lovely ladies for a trip centered around the garden city of Missoula. We only had a few days together and decided to pack in as much action, character and food as we could. And pack it in we did. 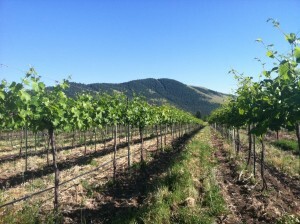 For the first night of our trip, we headed up to Ten Spoon Winery in the Rattlesnake Valley. While the wine (all organic mind you) got rave reviews, the thing that stood out to me the most was the setting. Located just minutes from downtown Missoula, it gave me the feeling that we were miles away from the hustle and bustle of modern life. The vineyard at Ten Spoon Winery. 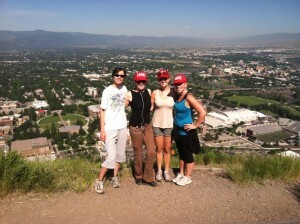 And because we needed to work off our food and wine, the next morning we hiked the “M” on Mount Sentinel. While we got our legs burning and our sweat on under Montana’s big blue sky and beaming sun, we were rewarded with a beautiful view of the city at the top. A few of my traveling companions after making it to the M.
We also toured the Smokejumper Visitor Center and Rocky Mountain Elk Foundation Visitor Center, hit up Downtown Tonight, took fly-fishing lessons from Grizzly Hackle, enjoyed the local Saturday markets and rafted the iconic Blackfoot River with 10,000 Waves. I also had the smoothest trail ride of my life with Dunrovin Ranch on their Tennessee Walking Horses. 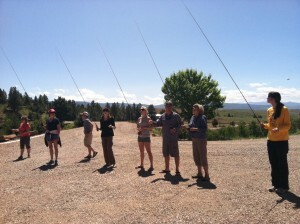 Learning to cast with Bryce and Ben. Not to be left out, we gave much of our attention to Missoula’s incredible restaurants, with stops at Red Bird Wine Bar for their champagne fondue (one of my all time faves), The Catalyst (nothing says summer like their Caesar salad–for reals), Scotty’s Table (their lemon cheesecake is smooth, creamy and light), Hob Nob, The Shack, Finn & Porter (where I had the best yogurt/granola/fresh berry combination to date) and Lolo Creek Steakhouse where the highlight–besides the steak–was the coconut macaroon sundae. So delicious. 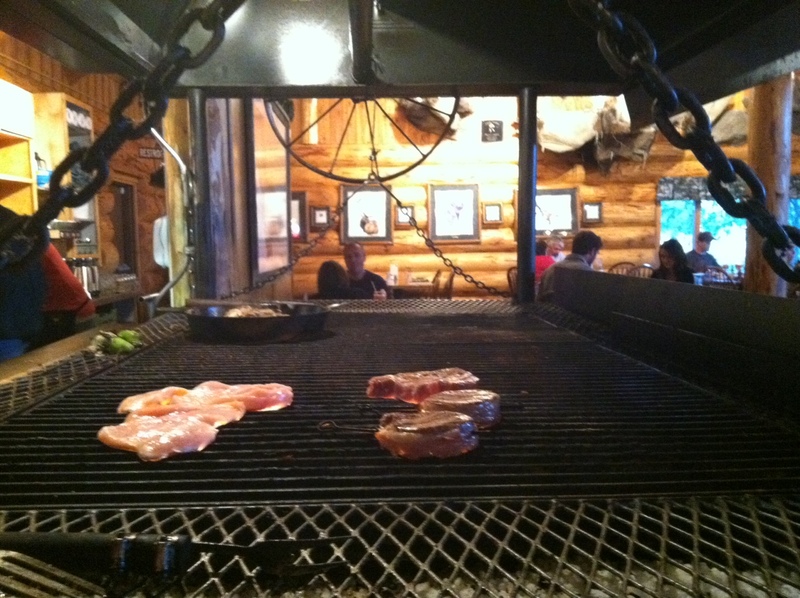 The grill at Lolo Creek Steak House. It was one Missoula good time. 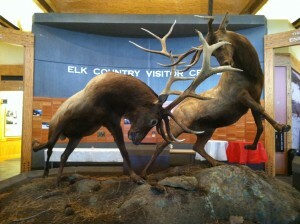 This entry was posted in Food, From The Road, Missoula, Summer and tagged Farmers Markets, fishing, Food, Missoula, Missoula+outdoor, Montana, Play, rafting, Summer on July 15, 2011 by tiatroy.